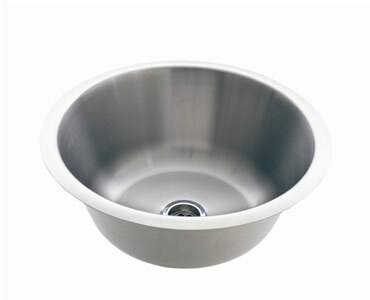 Transform your kitchen or laundry with this elegant Circo 15L sink offered by Everhard. This versatile multi-purpose top mount sink is ideal for any wet area. Furthermore, its stylish and modern looks will perfectly blend in with the interiors of any space. 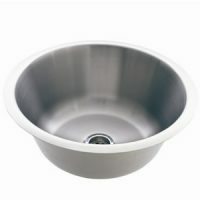 The Circo 15 litre multi-purpose sink features a round stainless steel bowl that measures 400x154mm. This sink also includes a 50mm chrome plug and waste. It has been designed for easy installation and will slip into benchtop cut outs effortlessly. A template on the product carton allows you to create accurate cut outs on your benchtop. 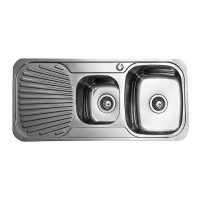 As with other Everhard products that we stock, the Circo range of sinks are also high-quality products. Manufactured using 304 grade stainless steel, they are sturdy, robust and designed to endure many years of substantial use. Everhard also offers a 25 year guarantee on the stainless steel bowl and a 1 year guarantee on all wastes, plugs and accessories. 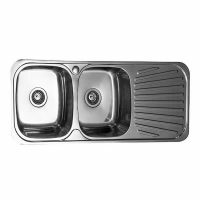 Add a suave touch to your kitchen or laundry by installing this Everhard sink. Buy the Circo 15 litre multi-purpose sink only at Ross’s Discount Home Centre and enjoy the savings.